Are you a Helper or an Organizer? A Dreamer or an Entertainer? Nomatter which of the personality types on the Enneagram you are, this groundbreaking system gives you the vision to see the world asyour child sees it-and the power to use this vision to achieve allof your parenting goals. 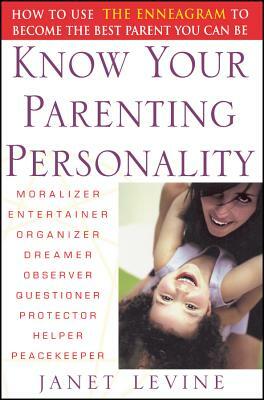 Read Know Your Parenting Personality and become the parent youalways wanted to be. JANET LEVINE, international Enneagram authority and author, has written for publications such as the New York Times Magazine and the Boston Globe. Her previous books include The Enneagram Intelligences: Understanding Personality for Effective Teaching and Learning. Levine is the founder and first president of a professional association of Enneagram teachers.